IFTF takes place from November 4-6 this year, as usual at the Expo Haarlemmermeer in Vijfhuizen. The International Floriculture Trade Fair has become a permanent fixture among European horticultural fairs. Breeders, growers, wholesalers and retailers are managing to find their way to the show quite well. A special florist event, IFTF World of Flowers, has now been developed to attract florists as well. IFTF World of Flowers is a collaboration between the IFTF and key sector partners. The florist program was conceived by Florint (International Florist Organisation), Green Team Consultancy+, Oasis, Chrysal, Pim van den Akker and the Flower Council of Holland. “Together we looked at a specific consumer segment, the ‘millennials’: consumers between 19 and 34 years,” explains Michael Bourguignon of Florint. “How do they look at flower shops? What trends do they consider important? What does that mean for our marketing? We present all of those findings at IFTF, and we hope that will have its effect on florists’ way of thinking. Over the past decade, particularly, florists have mainly emulated each other. What worked for one, the other did as well soon after. This came at the expense of creativity, while that is the very thing at the core of the florist profession. Customers do not ask for a brand at the florist. They ask that they are listened to, and they ask for personality. That is what we will be showing in the Flower Shop of the Future. A flower shop for a generation that is both willing and able to spend: studies show that this generation has, on average, three times the purchasing power of the previous one! 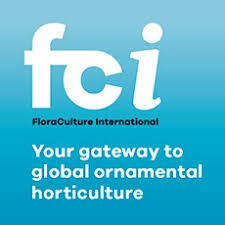 The event is being buoyed by the fact that Florint organizes its official annual Member’s Congress at IFTF. That brings a great many florists to the Netherlands. The bar has not been set too high, however, when it comes to the participation of florists. Four to five hundred florists attending the trade fair is the aim. At the core of the World of Flowers event is the realization that each florist works within his or her own cultural environment. Those personal cultures are the key aspect: they shape what can be achieved and how international trends are translated into tangible floral arrangements. Also in the hope that, next year, some of that will shine through in the various stands at IFTF. The Flower Shop of the Future can be seen during the entire duration of the fair. Celebrated flower arrangers like Pim van den Akker, Dini Holtrop, Bert Kuiper, Menno Kroon and Spanish florist Dani Santamaria will be ‘working’ there. Aside from a number of participating traders, a remarkably wide product range will be on display. Additionally, a segment called Digital Solutions will illuminate the impact of the advancements in digital technology on the florist and the floriculture chain. The Flower Shop of the Future looks different at all times. Florists from varied cultural backgrounds will be working with varying products, and from their own unique angles. Together they will clarify how to effectively reach the Millennial-consumer. In the IFTF’s Auditorium, right next to the Flower Shop of the Future, florist-oriented activities will be taking place during all the days of the fair. On Wednesday there is a large bridal show, for which the flower arrangements will be prepared in the Flower Shop of the Future. On Thursday, there are introductory presentations about contemporary themes like sustainability, storytelling and digitization. And on Friday, Florint kicks off its annual Member’s Congress there, which will thereafter continue for two more days in Rotterdam, together with Union Fleurs, the VGB and MPS. That comment makes it clear how Van Raamsdonk and his people position themselves in the horticulture chain. “For 30 years already, we have been organizing trade fairs abroad: ‘away games’, so to say. The IFTF offered us the opportunity of a ‘home game’, and we grasped it. Nowadays IFTF draws in 25,000 visitors, all of which are trade specialists: a professional audience of the highest order. The success of the IFTF trade fair has two main causes. The first is the support and trust of the participating companies and visitors. The second is that we have always listened well to our exhibitors and public. 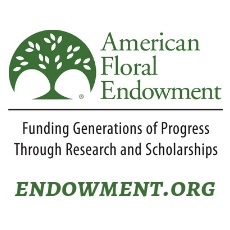 When you have that, a great event like IFTF World of Flowers inevitably comes within reach.